For the Lao in Minnesota, heritage preservation was robust and vital in building community roots in the late 80s through early 90s. 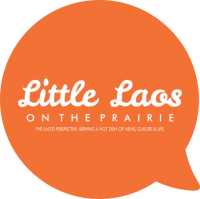 Lao PTA and Lao Assistance Center of Minnesota had programs focused on Lao language, culture and arts; and even a Lao Summer School for youth. One of the many well-known leaders during the resettlement period was Phouninh Vixayvong, a retired educator with a fierce teaching style. She’s also a long-time social services veteran at Lao Assistance Center of Minnesota, where she still assists elders navigating the public system one minute and debating with Lao men in the lobby about the latest community issue the next minute. She is one of many maes to the Lao community, teaching the first wave of Lao refugee immigrants for 15 years and founding the first ever Lao Women’s Association in the state, addressing teen pregnancy and breast cancer awareness. As a former student of the youth summer camp and a close colleague, I consider Mae Phouninh to be a humble feminist trailblazer in her own right. I sat down with the Vixayvongs in their home, discussing community life and reflections on Lao America. How was life like in Laos, before deciding to come to America? Phouninh Vixayvong: We were doing well before the end of the war, when everything was uncertain. My family’s from Champasak (Southern Laos). I was a mathematics teacher for seven years in Vientiane. Both Khoutong and I received our bachelor’s degree at Dong Dok University. Khoutong had worked on development projects with the Lao government in the agriculture sector. Why did you decide to come to America? Tell me about your journey. PV: It was 1980 and I was 37-years-old at the time. I felt that we didn’t have a chance for a good future for our children and there was a lot of fear in that kind of environment. When I sent my children to school, they were taken out of class to do labor work for others. They weren’t expected to learn. Khoutong went to Nongkhai, Thailand first. Then I crossed over with our six children and we waited in the refugee camps for about five months. We had connections with people who worked at USAID and a sponsor helped us get to Minnesota. How were the first few years of living in Minnesota? PV: We lived on a farm near Austin, Minnesota. Then three years in South Minneapolis. From there, we lived in Richfield and now in Eagan since 1996. I was recruited to be a bilingual teacher, during the first wave of Lao refugee immigrants. There was a need for Lao, Hmong, Cambodian and Vietnamese educators. From 1980 to 1995, I taught at Kenny Elementary, Lyndale Elementary School, Sandford Junior High and Roseville High School. Most of my students were Lao and some of them were Vietnamese. Khoutong worked at Hennepin County Government Center in downtown Minneapolis doing case management. We’ve always been in social services. What is your teaching style? How was it teaching Lao students? PV: Teaching students in Laos was more enjoyable for me. There, teachers are more respected than one’s family. Here, there were challenges we all knew about, especially when they are older children and teenagers who were beginning to deal with complicated cultural clashes. Being bilingual and adapting to two cultures was difficult and I could sense that. It was a bit tough for me to adjust, so I can only imagine how it was like for our youth. My style of teaching is to teach with Lao culture in mind first, before introducing the rest of the subject matter in both Lao and English. 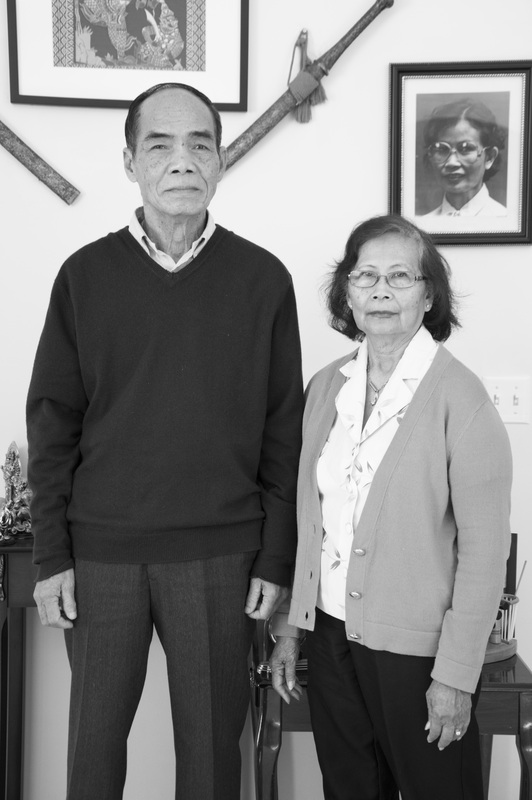 How did Lao Women’s Association and Lao Assistance Center of Minnesota start back then? Where do you see them going? PV: The majority of Lao women who first came were from rural and countryside villages. I saw that many of these women didn’t have any personal will or the knowledge of how to go about taking care of their families here in America. Not only do they not speak English well, but in our culture, women come second after men. I started providing services to those in need when people would call Khoutong and I and come over our house for help. Then the issues we saw in the community started to increase and there were more people who needed more direct assistance. Then we asked Jane Kretmann, who worked at International Institute of Minnesota, which was a resettlement agency at the time, how we could find funding for our work. We started in the basement of a church and then found shared space with other nonprofits in North Minneapolis. There were many social issues that the community was dealing with, but at the time, it was mainly teen pregnancy, limited English, breast cancer prevention, U.S. citizenship preparation, and chemical health counseling. Lao Women’s Association lasted until 2009, when it ended due to lack of funding. Khoutong Vixayvong: I founded the first agency for the Lao community, along with Mr. Fon and Mr. Onsa. Lao Assistance Center of MN (LACM) received initial funding from McKnight Foundation. We probably served around 10,000 Lao refugees in the beginning, when they needed the most help with direct assistance and navigating the system. The first executive director was William Inthisone, who had been crucial to investing in the youth. I helped advise the organization until 1992, after going into retirement. How is retirement life? Is this how you imagined America? PV: We’re both in retirement now. Just us two, living alone at home. Khoutong has been retired for awhile now, but I just started a few years ago. I can’t stand staying at home doing nothing, so I volunteer at LACM twice a week, teaching people how to pass their citizenship test. Over 200 people have become naturalized when I started three years ago. I’m happiest knowing all my children are doing well and are successful in their own way. They are police officers, educators, managers. What I like most about my retirement is that I don’t have to get up early anymore. I love volunteering and I want to do so until I physically can’t do it anymore. What’s the advice you have for the next generation of Lao Americans? PV: There’s old and new. I want the youth to stay curious about our culture and traditions. I never want them to lose knowledge about their heritage. Here, the Lao community doesn’t organize together as well as they do in Laos. We’re all in different parts of the state. Here’s the issue I see. For some, if there is status, money and power involved, then they seem to want to be more involved. We need to change that perspective. We should continue investing in youth and addressing the generational gap. There are new and old generations that should learn how to live together better. I think our community is doing well right now and it takes time. They are more self-sufficient, getting their citizenship, and know how to work and survive in this country. To have contributed to this is a wonderful feeling.